The year is 1291, and Walter is the twelve-year-old son of William Tell, the greatest bowman in the land of Uri. Walter lives happily in the remote heights of the Alpine Mountains, caring for his family's goat herd and practicing his marksmanship in the hopes of making his father proud. But as the end of the year approaches, Walter's peaceful life is shaken as his country enters a revolution, and Walter must carry a secret that could threaten the life of the father he loves so dearly. 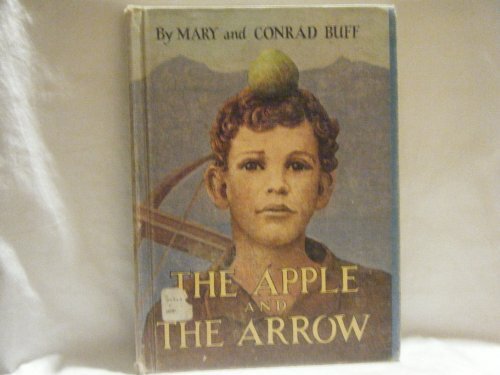 More than seven hundred years have passed since the day Walter stood in the marketplace balancing an apple on his head while the Austrian tyrant Gessler commanded Walter's father, William Tell, to take aim at the apple with his great crossbow. The dramatic tale of William's arrest and escape and the daring revolt of the Swiss against the Austrians has become a legend around the world. About Mary Buff (Author) : Mary Buff is a published author of children's books. Some of the published credits of Mary Buff include Peter's Pinto: A Story Of Utah, Apple and the Arrow.